Samco Stretch & Seal Tape UNIVERSAL - Dezod Motorsports Inc - Home of the automotive performance enthusiast since 2002. 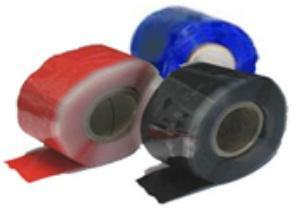 Samco Stretch & Seal Tape is a Multi-Purpose Self-Amalgamating Repair Tape. Resists moisture, oxygen, and ozone. Conforms smoothly when wrapped around complex forms. Bonds to itself at room temperature. Remains non-tacky and does not stick to other surfaces. Dampens vibration and resists heat and mechanical shock. Over wrap deteriorated wire insulation. Works even over wet, dirty, or oily surfaces!